The last few days of the Winter Olympics in Pyeongchang have remained as action-packed as ever, with Team GB’s athletes in the thick of the action. Currently Britain has four medals, finding themselves 16th on the medal table. Any more medals that are added between now and the end of the competition will mean Britain have had their most successful Winter Olympics of all-time. Here at Champions Olympic Speakers we provide a rundown of the biggest stories from the last few days. Before the Games began Lizzy Yarnold MBE was tipped to succeed and this weekend she certainly did just that. Becoming the first British winter Olympian to ever successfully defend their title, and has now become the most decorated British winter Olympian of all-time ahead of the infamous Torvill & Dean. Since her win Lizzy has said she may consider retiring from skeleton but for now she is still basking in the glory of her recent victory. 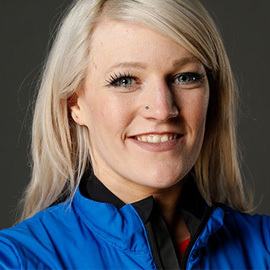 After crashing out in the 500m and 1,500m distances in the short track speed skating discipline, Elise Christie’s hopes of an Olympic medal came down to the 1,000m distance with the nation hoping she could achieve her dream. Having to deal with an ankle injury during the heat, the triple world champion ended up being disqualified from the competition after judges deemed she committed an offence. This marked a sad end for the Scottish athlete, who was also disqualified from all three events at Sochi in 2014 but she has vowed to return to action at Beijing in 2022. Britain have a chance at winning a medal in the first ever big air final. The sport was introduced to this year’s Olympics and British star Billy Morgan gained one of the top six qualifying spaces meaning he will be in with a chance of medalling despite the fact he is suffering from an ear infection. Fellow Brits Jamie Nicholls and Rowan Coultas missed out on a place in the final. Great Britain’s curling stars have made it into the semi-finals in the women’s curling event defeating reigning champions Canada. The team who are spearheaded by Eve Muirhead clinched bronze in 2014 and are hoping they can do even better this time around. The men’s team will go up against Switzerland on Thursday hoping to secure their place in the semi-finals. Here at Champions Olympic Speakers, we will keep you up-to-date with all the latest goings on from South Korea and if you would like to book any of our excellent speakers get in touch by calling +44 1509 85 29 27 or complete our online form.